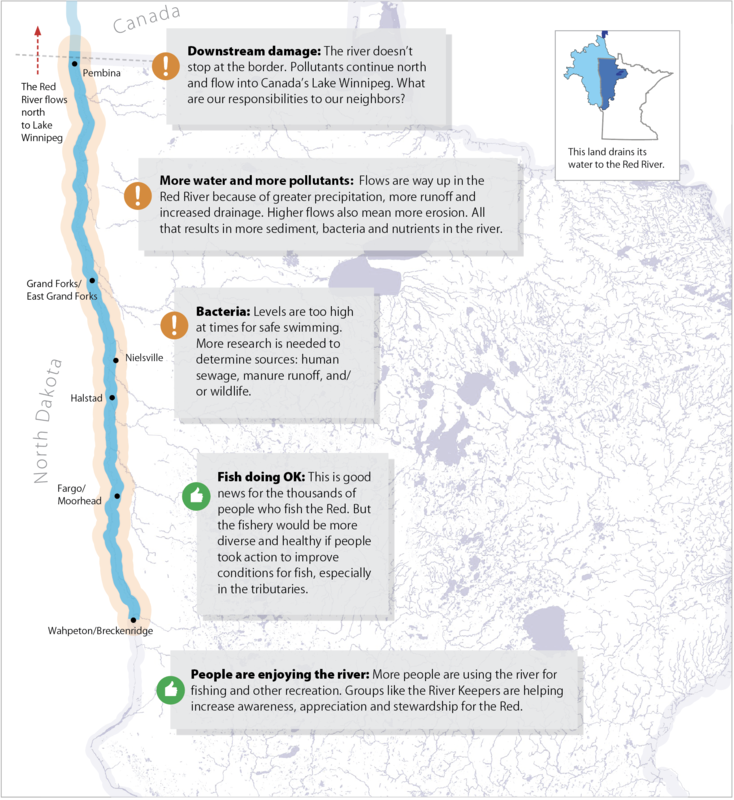 UNDATED--The Minnesota Pollution Control Agency has released Minnesota’s first comprehensive study of water quality and fish in the Red River from Breckenridge to the Canadian border. Monitoring shows the Red River and its tributaries carry too much sediment to meet Minnesota standards designed to protect fish and other aquatic life. Some stretches are impaired for swimming due to high levels of bacteria. Generally speaking, fish and aquatic insect communities are doing OK, but could be more diverse and healthier if the water were clearer. Focusing efforts on water storage, fertilizer management, and building soil health can improve water quality. Volunteers are needed to help fill one million sandbags in Fargo. Advocates will gather at the Capitol in St. Paul today to support Telephone CPR bills in the legislature.